What is a farmer's most valuable asset? Their tractor, their combine harvester....? NO, it is in fact their land! 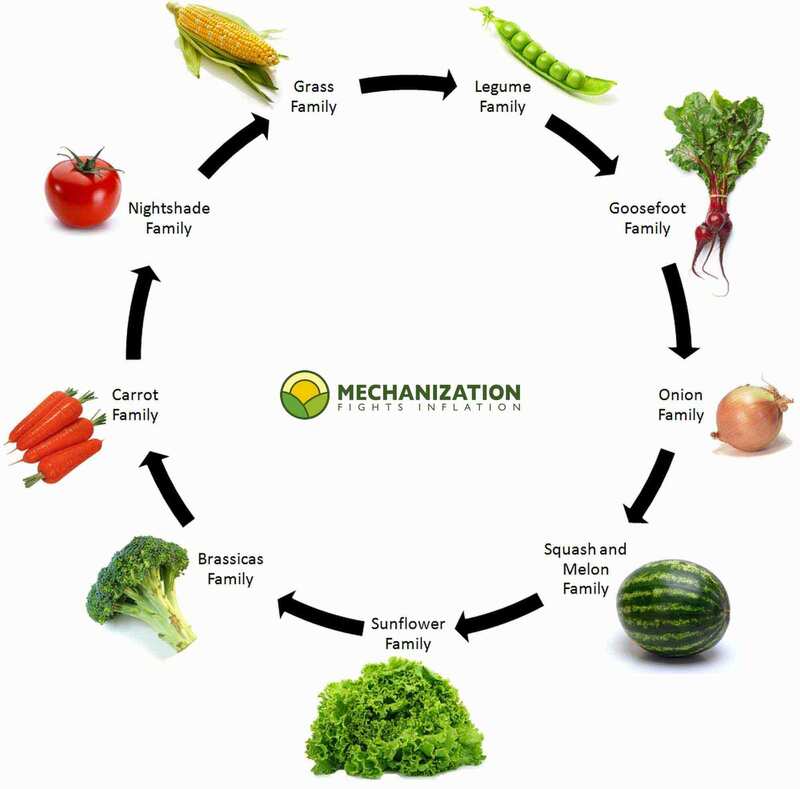 The principle of crop rotation is to grow different crops in the same area of land each year. Different plant species require different nutrients from the soil and also replenish it with different nutrients, hence, a well-planned crop rotation system helps combat soil deficiencies and improves its mineral and organic content. Crop rotation also helps eradicate weeds, insects and other pests, which tend to attack specific plant families or species. Rotating the crops planted in one particular site breaks the cycles of the parasites, thereby reducing the number of potential attackers (dormant larvae, buried eggs, spores, etc.). Some crops (e.g. potatoes and squash) suppress weeds and are therefore excellent at reducing the number of unwanted guests the following year. Not rotating crops, or rotating them incorrectly, drains the soil of nutrients, causing it to become damaged or even infected and ultimately reduces yields. How does it work? Select a crop and click on "see results". It's as easy as that! This crop rotation guide is based on data from the last table of the following link: crop rotation. However, in spite of this, land is often left to one side. Every year it is used and abused for production, and large quantities of money are spent on yet more pesticides and fertilisers. In contrast, farming equipment is kept spick and span and replaced with a new and improved model as soon as it is outdated. But land cannot be updated to a newer model. Just like machinery, land requires care and attention, without this, it simply runs into disrepair. Crop rotation is the best way for growers and farmers to tend their land. A good rotation system does not just keep land healthy, but also enriches soil quality, reducing its deficiencies, increasing its mineral and organic content and even improves its structure. An effective crop rotation increases yields and lowers production costs year after year. Address: Farm San Isidro, Volcán, Panama.